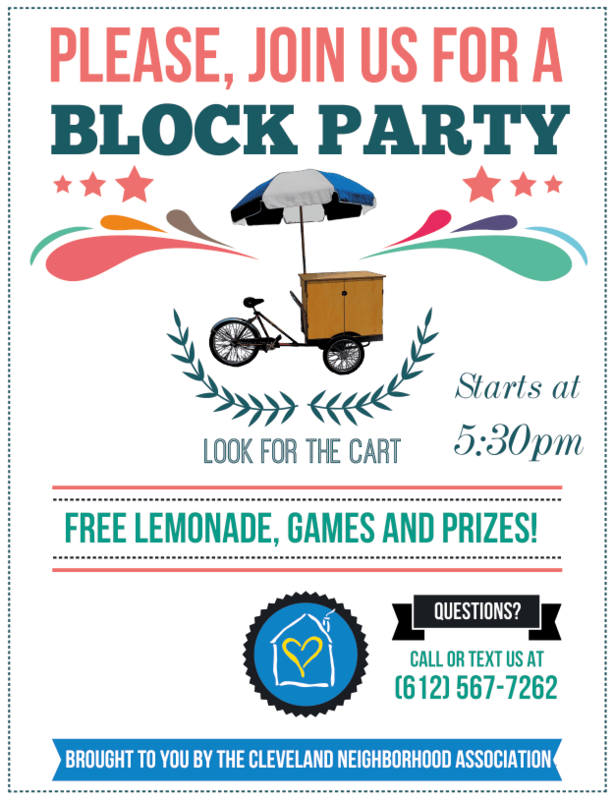 On a lovely weekday afternoon this summer you’ll receive a flyer from some great high school students inviting you to a block party on your block. We hope you’ll take the opportunity to introduce yourself and pass on your contact info so we can stay in contact with you from the neighborhood association and connect you with others on your block. The students are part of our Summer Step-Up Team a summer employment program with a team of 6 students and a supervisor who will be doorknocking and hosting pop-up block parties throughout the Cleveland Neighborhood all summer long. Pop-Up’s are all about connecting you with neighbors. We’ll skip the blocking of the street and grilling out, but we’ll have snacks, lemonade, and plenty of games and prizes. Come out for a few minutes, meet some neighbors and join your block club so you can stay in touch all summer long. If you are a Block Club Leader or a Cleveland Connector we’d love to touch base with you about how we can support you and building a strong block. Below is our tentative block party schedule (we’ll cancel if it rains) and we hope you are able to make it out when we roll down your street. Reach out to us if you’d like to be a part of planning the pop-up on your block! See you this summer!